The European Society of Cardiology working group on myocardial and pericardial diseases has recently published a position statement on the diagnosis of dilated cardiomyopathy, and in doing so they have proposed a new diagnostic category: hypokinetic non-dilated cardiomyopathy, or HNDC. Hypokinetic non-dilated cardiomyopathy is "left ventricular or biventricular global systolic dysfunction without dilatation (defined as LVEF <45%), not explained by abnormal loading conditions or coronary artery disease"
The term 'abnormal leading conditions' refers to cases where there is hypertension or valvular heart disease that has placed abnormal pressure and/or volume loading on the left ventricle, leading to dysfunction. So why create this new category of HNDC? The reason is that, put simply, dilated cardiomyopathy doesn't always involve left ventricular dilatation. It's been recognised that in some cases there is clear evidence of left ventricular systolic dysfunction, but in the absence of left ventricular dilatation. For example, this has been described in carriers of Lamin A/C gene mutations. To avoid confusion about diagnostic terminology, this new category of HNDC has been proposed. The new document is well worth a read. 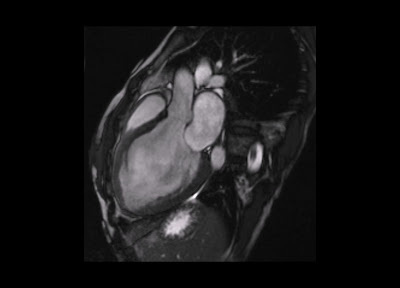 As well as the new category of HNDC, it also provides useful guidance on the investigation of dilated cardiomyopathy, and on diagnostic criteria in relatives. Pinto YM, et al. Proposal for a revised definition of dilated cardiomyopathy, hypokinetic non-dilated cardiomyopathy, and its implications for clinical practice: a position statement of the ESC working group on myocardial and pericardial diseases. European Heart Journal 2016; 37: 1850–1858. Our specialist team at Novena Heart Centre performs all kinds of cardiovascular surgeries & screenings to diagnose and treat Heart Attack and various heart diseases.